Create Hollywood-style videos in-house, in-minutes. Cherished moments deserve more than a slide show. 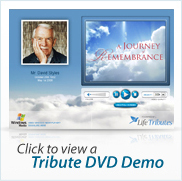 Life Tributes by funeralOne, the world's leading tribute video software package, lets you create cinema quality videos with ease. Unlike other products which produce amateur sideshows, Life Tributes lets you create world-class videos in minutes, under your own roof, affordably. Life Tributes requires minimal computer skills, no film production knowledge and the only software utilizing intelligent movie creation technology. Thousands of funeral home and cemetery professionals rely on funeralOne daily as their source for tribute video creation software. Shouldn't you? DVD copy protection is a feature in Life Tributes which guarantees that families come to you for additional copies of tribute videos, resulting in more money from each arrangement. From cinematic video intros & outros to live scenic video backgrounds, our quality is unmatched! Discover this for yourself by Clicking Here! This revolutionary technology by funeralOne allows users of Life Tributes to simply scan as many photos as they can fit onto a scanning bed. Once the images are scanned Life Tributes automatically crops and places your photos in the desired order. WOW!!! Bring your photos to life... Automatically!!! This amazing technology in Life Tributes will automatically place intelligent random motion effects across all of your photos. Huge time savor! Sit back and relax because Life Tributes features this unique technology which automatically creates everything from your video and DVD boxes to your DVD labels and DVD menu, and Life Tributes will adjust your image transition times automatically! See Example! Worried about music licensing? Not with Life Tributes. We have included the highest quality, fully licensed, and original music library there is, period. Have a certain music track your family wants on their tribute video? The ability to import your own music, new with Life Tributes, makes your music selection endless. Life Tributes allows you to include original cinematic video scenery to your tribute videos in seconds. Select from over 60 scenic video background themes to add an unmatched level of personalization and comfort to every tribute you create! Make sure your photos look their best. Unlike many image editors with steep learning curves, we have intuitive tools - so you can easily fix common photo flaws in one click. See Example! With more than 100 Life Tribute themes to choose from, professional licensed music, and dozens of cinematic scenic video backgrounds for customizing your videos, we have you covered.! We hear from funeral directors daily wanting the ability to make this software adapt to other occasions. We are currently developing custom video intros and endings for other events such as weddings, birthdays, graduations, anniversaries, and more. Click here to see a preview of our soon to be released anniversary theme. One of the new features we introduced with Life Tributes is the ability to use an unlimited amount of photos. What good is creating videos if your customers don't know you do? No problem! We have developed a world-class marketing kit and a vast assortment of ads ready for you to use! See an Example! With world-class support at every turn, funeralOne's knowledgeable support team is here to assist you, day or night, so you can focus on what matters most. Learn More! No strings attached. No hidden charges. No long term contracts. No up front cost. No equipment to buy. No tech support fees. No kidding. Contact us today for up to date pricing. Real motion including custom pan & zoom effects! Automatically creates personalized DVD menus! 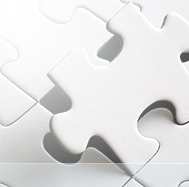 funeralOne - We set the standard for Funeral Home Personalization. Copyright© 2011 funeralOne LLC. All Rights Reserved.